Springtime is here! Shop early for best selection. 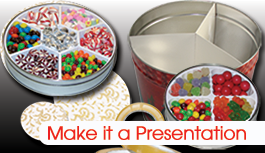 We're your wholesale source for fine tins and cans including cookie tins, cake tins, nut tins, popcorn cans, powder coated buckets, and tin packaging supplies (including all the supplies your need to make a professional presentation). 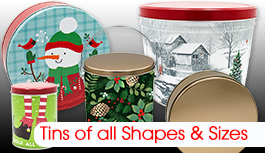 We have tins for nearly every holiday and occasion plus offer full customization of your can project. 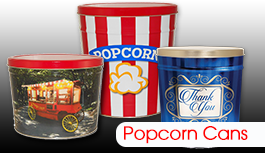 Be sure to checkout our great selection of supplies to go with our cans including liners, popcorn dividers, padded tops, heat shrink bands, reshipper boxes, and TinTape. 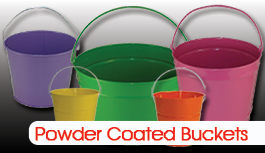 Shop Online 24/7/365.